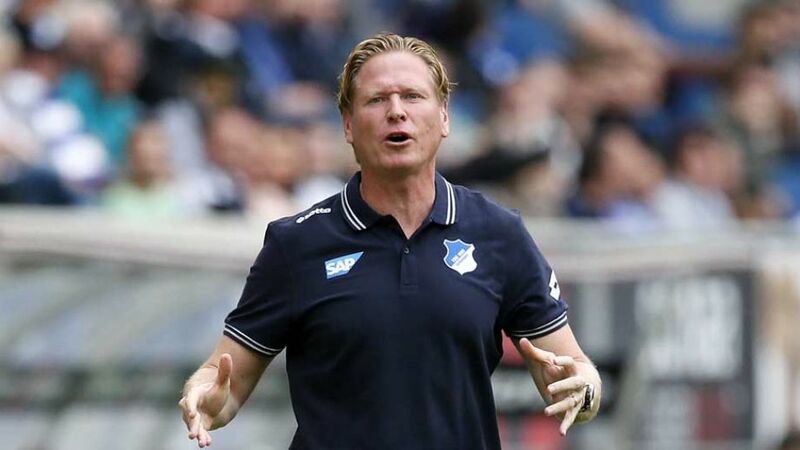 Sinsheim - TSG 1899 Hoffenheim have relieved Markus Gisdol of his duties as head coach, with Huub Stevens appointed until June 2016, the club confirmed on Monday. Hoffenheim were beaten 1-0 by Hamburger SV on Matchday 10 and have won just once all season, having also been knocked out in the first round of the DFB Cup by second-tier side TSV 1860 Munich. Previously the club's assistant coach, Gisdol took charge in Sinsheim in April 2013 and miraculously steered the club to survival via the relegation play-offs following a memorable 2-1 final-day win at Borussia Dortmund. He led the club to respectable finishes of ninth in 2013/14 and eighth in 2014/15 but departs after a run of results that has left 1899 second-bottom of the table. The Sinsheimers are next in action away at 1. FC Köln on Saturday. Stevens, who was voted FC Schalke 04's coach of the century, has rescued VfB Stuttgart from relegation in the last two seasons.